Topic: Green Waste Bins - was this really a consultation? Re: Green Waste Bins - was this really a consultation? I went to the tip last Monday at about 11.00am and was gobsmacked. In previous visits even at the weekend, I've been able to get in and out of the tip in a matter of ten to fifteen minutes. Given it was a work day and overcast, I was astounded to find myself not only queuing back out onto the road, but when I finally got through the entrance, realising that I was part of what must have been well over 100 cars parked in the kind of rows you normally see before entering a cross-channel ferry. Absolutely astounding numbers. Come the proper warm weather, the system will simply grind to a halt as Morsey says. Tig and I have made 3 unsuccessful attempts to visit the 'recycling' centre in the last 5 days. On each attempt the traffic queue began at the Mini Roundabout at the end of Darby Close and, (presumably like many other people who simply turned around and drove away), I had neither the time or inclination to do my environmental or civic duty. After 3 attempts which approximate to 18 road miles I sent the entire consignment to landfill via other means which I've also already paid for. I expect a proportion of other people will, by now, have fly-tipped their loads. Once people realise that it's easier and quicker to either fly-tip or cram their re-cyclables into their wheelie bins than to bother even attempting to visit the Cheney Manor site, then the whole system, and the point of the whole system, has been royally screwed up hasn't it? Another epic and ongoing failure from SBC, and which Tory muppet is responsible for this one? Playgrounds, including those that are not presently utilised. How can any single councillor be expected to get an effective grip of a portfolio that enormous - and that diverse!? 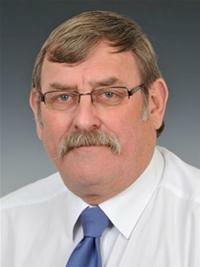 Does councillor Hurley have another job which he juggles with his duties as a councillor, or is he a full-timer? The size of these portfolios is, imho, evidence that the 'Strong' Leader & Cabinet model is particularly unsuited to providing sensible and effective governance of even a medium sized town such as Swindon and that it encourages the centralisation of a ridiculous number of services and areas into a too-small number of often inexperienced and incompetent hands. When things go well the Cllr's involved claim the credit, when they go bad they blame the officers. Like Morsey says, if its this bad in March, the whole concept will fold around their ears come June/July! Me and Mrs Alligator were discussing how we will react to the changes being made, so far we haven't created a significant amount of garden waste but we see that changing soon as in past years we have generated quite a few bags of waste in the summer months but very rarely generated more than the 4 bag limit that applied. We weighed up the option of paying our £40 and getting the bin as opposed to using the free space in our household waste bin and thereby send the waste to landfill, burn some of the waste or start queuing at Cheney Manor. We decided to opt for the wait and see approach as we don't always fill our bin and concluded that the local elections may deliver a change in control of the Council, or at cause them to re-think this and possibly change the policy, therefore we concluded that we'd be mad to be an 'early adopter' of a flawed policy which we can easily adopt later if we need to. Perhaps TS can find a way of running our own consultation? A survey monkey type questionnaire similar to, but less flawed than, the council's version may be needed. Great idea Alligator- I wonder why it never crosses the mind of our esteemed leaders to genuinely consult in this way. It seems they do have the ability to use email ( as evidenced by Mr Bluh's lengthy but particularly patronising and unimaginative response to my request to ask him to get SBC to support the Robin Hood Tax as many other councils have). Not beyond the wit of the administrators surely? I have quite a large garden, and so have space to accommodate another compost bin or even two more. Not that I'll ever have a use for the compost once made, our garden is already a foot higher than next doors. I already have a shredder, so I will just have to drag that ours out of the shed more, and disturb the neighbours more, it a fun thing to do, very satisfying, but it is a tad noisy. The arisings from that, I can use, and may be able to persuade others to have what's left - good mulch and all that. We've just returned from shopping and glad not to have to buy the green bags, hope the people that make them realise there will be a slump in sales. I know what will happen to most others around here, over the back fence it will go into Penhill Copse. And I know what will happen to it down in abbey Meads - over the back fence into spinneys and the Old Parish boundary and garden rubbish dumped is a killer of anything underneath it. Whatever did we do with our garden rubbish before the free collection? Because I can't ever remember putting mine in the landfill bag. You'd compost what you could and bonfires for the rest. I can remember many a bonfire when I was growing up yet the last one I've seen recently was probably around 5th November. Some people don't like the smoke but frankly at times it's no worse than smelling the umpteenth bbq on a hot weekend. Plus there are various plant diseases where the only thing you can do with the affected plant is to burn it, composting would just spread it. Several sacks of green waste in our patch that have been by the side of the road for several weeks have now helpfully been slapped with a few 'handy stickers' from the council to say this is not the correct way to dispose of your garden waste. At what stage does refusing to collect green waste bags as flytipping to teach people a lesson about paying for a bin (again on top of your council tax) and then paying the annual collection charge (again, on top of your council tax) cross over to being a public health problem? But thank goodness they've invested in stickers. Same round here - and all over, now I come to think of it. Thing is, they are not punishing those who put the bags out, but the rest of us too. Probably most of those who put them out didn't realise there was a change so didn't do it out of spite. Those with grass cutting in will be like lead weights by now. If Averies insist on coming to Groundwell Park and ride, I have just thought of a way to get rid of all those green sacks lying uncollected around Swindon and a solution to chaining me and my mates to the gates. I'm reckoning those bags must be pretty soggy and disgusting by now! Any one know anyone with no sense of smell and big tip up truck? Please don't recommend us using one Swindon firm, it begins with A and ends with S.
Did you know you are not allowed to place green bags of green waste in your green bin? Seems a bit perverse as it goes in the same wagon. I could put my green bin out and place the green bags next to it, no problem. Put the green bags in the green bin and we have an 'issue'. I know this because one of the marmosets communicated this to me via a specially made sticker which he stuck on my bin. P'raps I'll just set light to it and wait for some mug to move it for me. Really, honestly, can you, if you have green bin leave green bags out by it! I off to do a bit of gorilla green bag dumping legitimately. Find someone else's green bin and put a green bag by it. Mr Muggins load up the boot - we're going where the bins are greener. If you put the green bag in the green bin some poor bugger will get stickered and, probably, cast into eternal hellfire, maybe even subjected to a terse note on headed paper. You have to empty the green bag into the green bin, then place the now empty green bag into the black bin. Never forget, it doesn't have to make sense. Empty my feckin bins? I should be so fortunate. Isn't the recycling system wonderful. We wash out our glass bottles and tin cans, carefully flatten our cardboard boxes, fold our waste paper and deposit in all in the appropriate orange boxes. We mow our lawns and trim our hedges and deposit the waste into green bins. A big lorry comes and takes it away to a recycling centre where it is piled up and sits there until it catches fire and pollutes the atmosphere. Why don't we just set fire to it ourselves and cut out the middle man. What caught fire was we are told the contents of skips, not the contents of you recycling effort.